What is it going to take? The numbers are so plain! Plainly outrageous! Training? What? It's got to be fixed! Should the ACLU sue BART? Didn't Cowell comply and peacefully surrender to police when confronted? Percentages of riders versus percentage of forceful arrests doesn't really tell the whole story. Long-term we have to re-engineer that office. Maybe make it a 10-year appointive position similar to the San Francisco position. Maybe keep it as an elected office but take away the professional accounting/internal auditing credential requirement that was only put in the charter a few auditors ago to prevent an experienced, qualified but un-credentialed assistant auditor from running against the incumbent. Look at the performance of the last four auditors, each one a CPA, and you'll see professional credentials were neither necessary nor sufficient to do the job properly. Removing the professional credential prerequisite would open up the field to a great many competent people. People willing to stand up to all the powerful factions operating at City Hall. Thank you, Courtney. We need people like you to help keep the city council's (and the rest of Oakland's government's) financial shenanigans under control and put into the spotlight. I understood why you chose to run for mayor, but I was sorry to see you leave as auditor. I would have been curious to also see the school board elections. The pro-charter candidates get far more money than you are mentioning in this article. "Oakland Jazz Venue the Sound Room Fundraises to Relocate"
I can't wait for the new room to open! 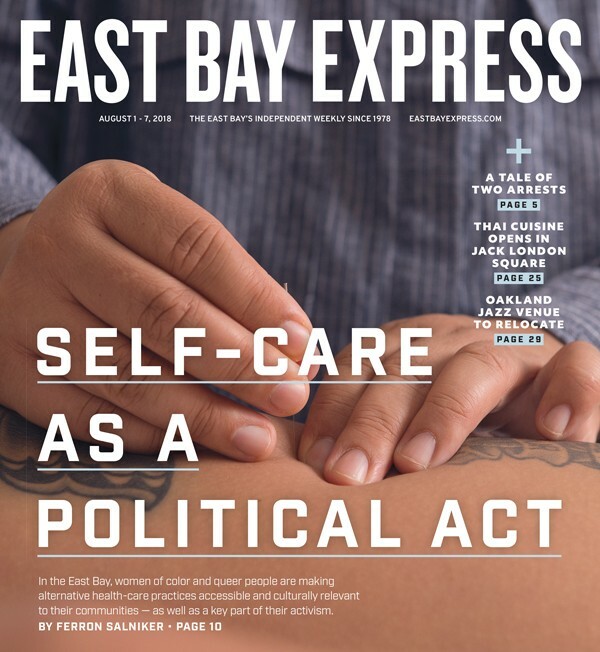 Our June 27 news story, "Saving Restorative Justice," mischaracterized the comments by Ron Towns; he was speaking about restorative justice and discipline practices generally and not those at OUSD. Additionally, he has never worked at OUSD schools. The Aug. 1 music feature, "Oakland Jazz Venue the Sound Room Fundraises to Relocate," erroneously stated that sound consultant Marina Crouse once collaborated with Miles Davis.